SUPERIOR Zero-lot home on PRESTONWOOD LAKE! 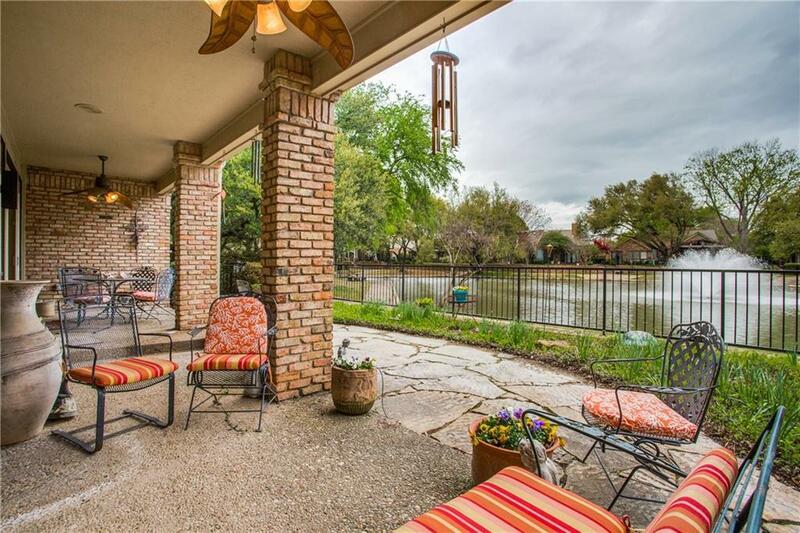 Enter large 11 x 6 foyer to see the VIEW of the FOUNTAIN & PRIVATE LAKE. This SPECTACULAR VIEW, w-TREES LIT AT NIGHT, can also be seen from the living area, office & the master bdrm. 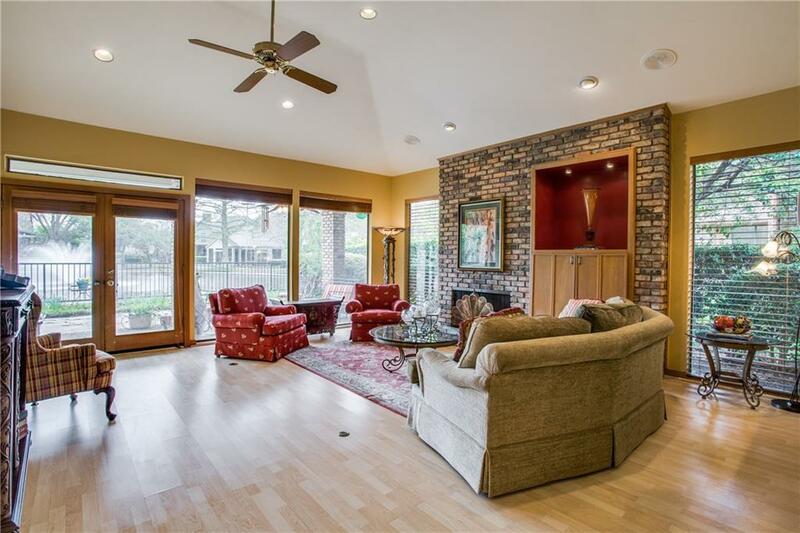 The EXTRA LG LIVING AREA has a woodburning fireplace, built-ins & DOUBLE DOORS out to the LOVELY PATIO. The master bdrm has a SITTING AREA also w-double doors out to the patio area. 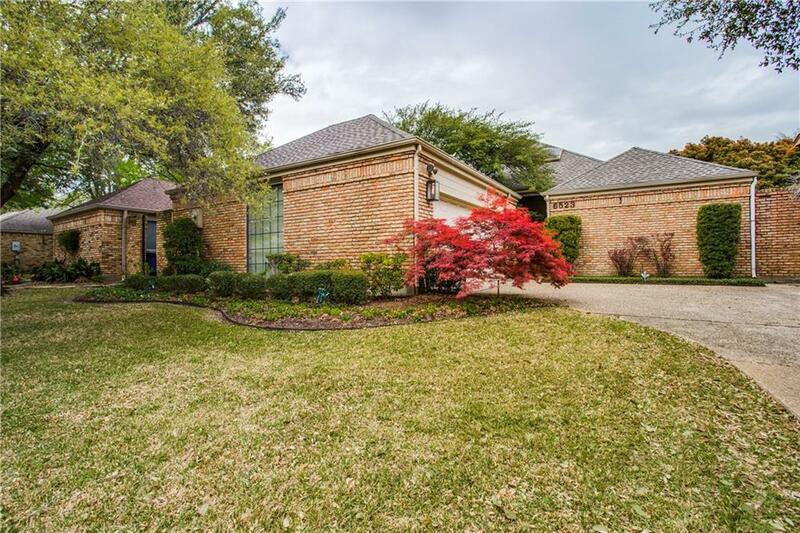 Spacious tiled master bath w-tub, separate shower & a HUGE 12 x 8 MASTER CLOSET w-built-ins. Split 2nd bdrm has a private bath & lg vanity area. 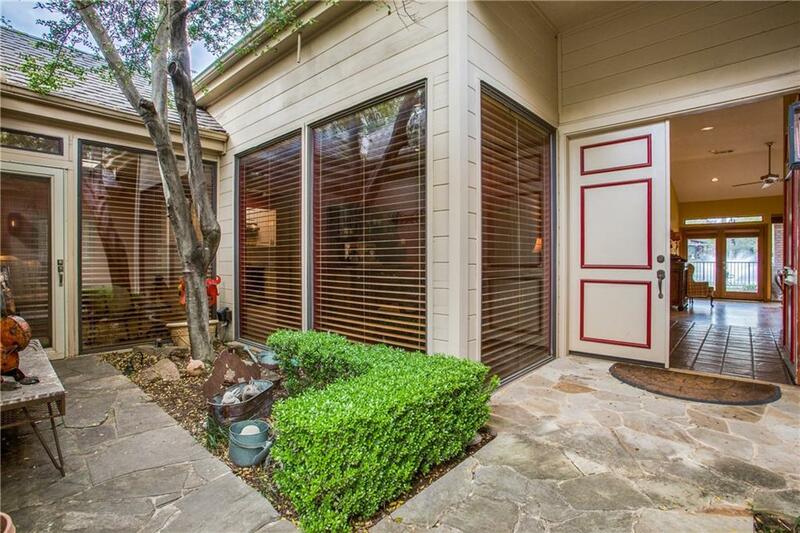 Both dining areas have PRETTY VIEWS of SEPARATE COURTYARD. Kit was totally UPDATED in 2015 w-NEW CABINETS & APPLIANCES. GENEROUS STORAGE & sound system throughout.